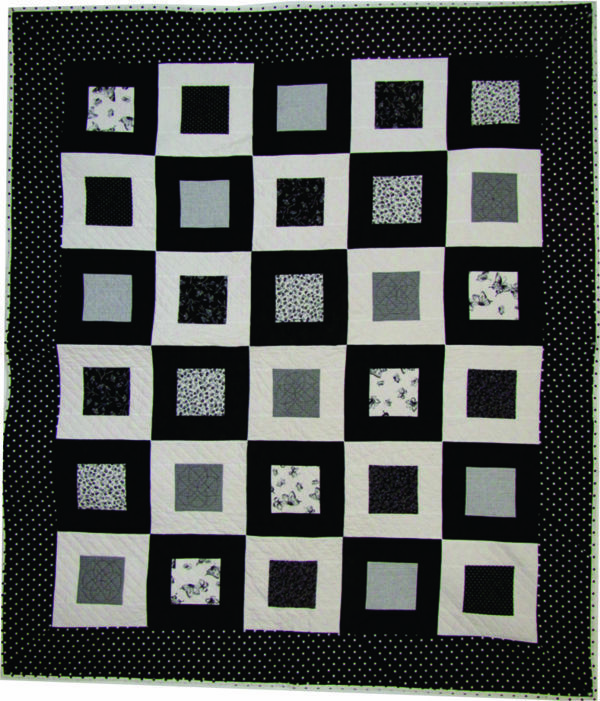 The fact that this quilt is so easy to make doesn't take away from it's dramatic appeal. In black and white, it's a real show stopper, but it would be just as impressive in any color combination. The pattern is easy to understand and includes helpful illustrations. This would be a great quilt for someone just beginning quilting. This would be a great gift, and because it's bold, even suitable for the man in your life. Remember, when printing out a PDF pattern, be sure the option "fit to page" is NOT selected, or your pattern may not print to the exact size it was intended. 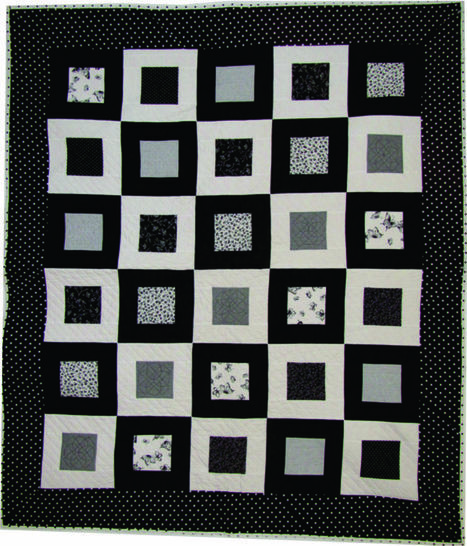 The inside center squares of this quilt require so little fabric, you may choose to use scraps, or if you do want to purchase fabric, purchase 10 different black and white patterned fat quarters.